I will pretty much consume everything Pat Metheny creates. I particularly value when he serves as a sideman, as it often turns me on to a new artist I am not familiar with. Metheny’s voice plays so well in so many different contexts – whether the pop of Joni Mitchell or the avant-garde jazz of Ornette Coleman. As a sideman you get to see the depth of Matheny’s artistry. I recognized Cuong Vu as a trumpeter and vocalist who played on the Pat Metheny Group’s Speaking Of Now (2002) and The Way Up (2005). In PMG Vu added color to Metheny’s palate. But on this album Vu is the featured soloist and composer. The tables have turned and now Metheny is the color. But of course that is a simplistic – Metheny is a brilliant soloist and collaborator who is inspired by these kinds of gigs and quickly becomes an equal conversationalist to the session leader. Each time I listen to the album I gain greater appreciation for Vu and his band. Metheny is the perfect foil to this band. Metheny sounds like he belongs in this band – he does not sound like a guest. This album shows the power of improvisational music when played by sympathetic masters: majestic beauty. It is like listening to a brilliant conversation. This is not easy listening light jazz. But it is not inaccessible either. At times it requires patience, but if you give it a chance you will be rewarded. I have listened to the album about 20 times and with each listen additional nuances have been reveled. It is intriguing, as the liner notes point out, that Metheny’s dad was a pretty good trumpet player as was his maternal grandfather. Pat’s older brother Mike has played trumpet professionally. Pat’s first instrument was the trumpet. So it is with great sympathy that Metheny plays with trumpeter Vu. As I mentioned earlier, the delight of a session like this is that I get to discover an amazing player and composer like Vu. This is a guy is in total command of his instrument. He can make it purr and he can make it roar. The album opens with “Acid Kiss,” an avant-garde noise number. Vu wails on his horn and Metheny does the same with his synth guitar – with horn-like tone. “Not Crazy (Just Giddy Upping)” is a hard bop sounding cutting contest between Vu and Metheny. “Seeds Of Doubt” is a gorgeous ballad where Metheny plays in the classic fat tone that made him famous and what made me a fan of him in the first place. Vu match Metheny with a fat smooth tone. It is a perfect back and forth between these tone masters. “Tiny Little Pieces” opens with some plaintive probing by Vu and Metheny mirroring him. It slowly gathers in intensity. The song climaxes in an free-jazz storm. This song has an almost electric Miles feel to it. The interplay between Vu and Metheny is so knowing. “Telescope” is an almost bluesy number. It is rare that Metheny puts on the big rock guitar sound. This is the lone Metheny composition on the album. “Let’s Get Back” is a slow song with a Tom Waits feel. Metheny and Vu battle it out to see who cans sound prettier – it is a draw. “Tune Blues” is a playful sounding Andrew D’Angelo cover. It is both bluesy and avant-garde. The song starts out as an easy-going blues and then slowly boils into some beautiful noise. And the it abruptly comes to a close. Kudos to the rest of the Cuong Vu Trio: Stomu Takeishi on bass and Ted Spoor on drums. These are clearly guys who have been playing together a while. The sonics on the album are pristine. I love a well crafted recording and this is a well crafted recording. 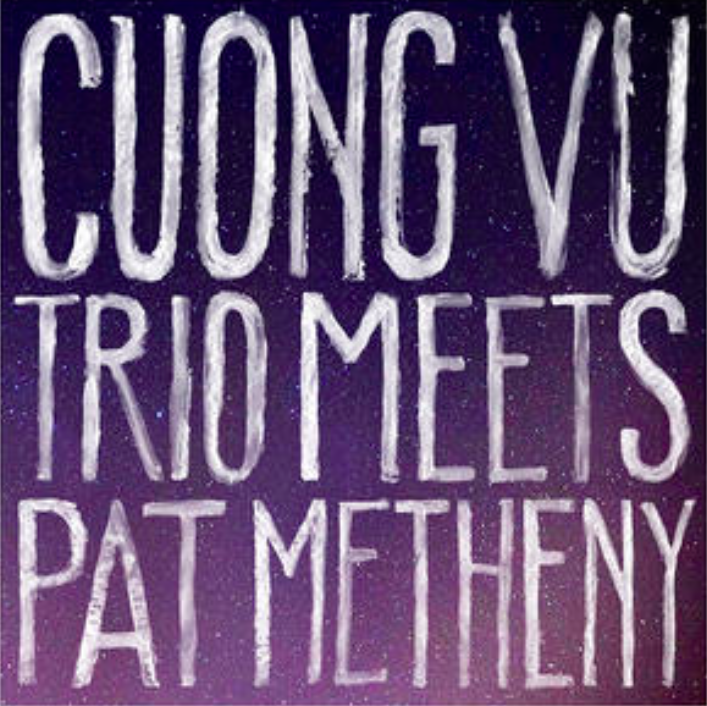 Vu and his trio are a perfect match for Metheny. Metheny sounds absolutely inspired by the setting and his always outstanding play is elevated to a new level – there is something special going on here. Metheny has been on a roll lately. The last several albums he has been on have been challenging, beautiful and adventurous music – all in Metheny’s signature voices. I will definitely be checking out the Cuong Vu catalog after this amazing introduction. In summary this is a perfect collaboration.